UZIN have improved their range of smoothing compounds with the launch of three new products. The most innovative is UZIN NC 111 BiColor an intelligent smoothing compound which changes colour to indicate when to install the floor covering. Thanks to the unique colour transformation flooring contractors can see when to install the floor covering as the colour changes from green (when wet) to salmon (when dry). The company have also launched a cost effective fibre-reinforced smoothing compound UZIN NC 196 and UZIN NC 105 a new gypsum based smoothing compound. 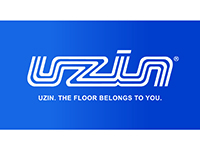 All UZIN have been developed in close cooperation with their customers to provide floor contractors with exceptional quality which are easy to use. This also ensures the products are reliable and produce outstanding results.